Posted 12.07.2017 by Fascinating Rhythm & filed under Performance. 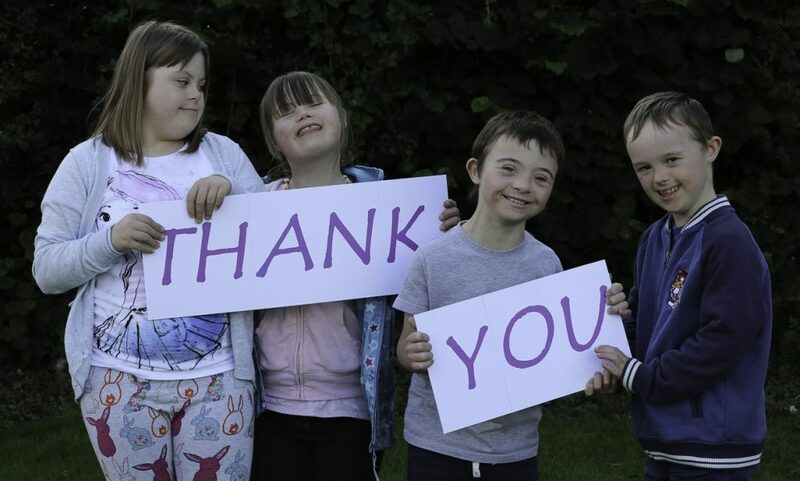 We all had such a good night at our charity concert on Saturday, 8th July in Bridgwater to raise funds for Ups and Downs South West. The theatre was an amazing space to be in and the staff, especially technical team, were second to none. Ticket sales, along with a spiffing raffle and some very generous match funding from Barclays Bank gathered over £1,000 into the coffers of this excellent cause. We were thrilled with the debut performance of ‘Titanium’ quartet who sang Billy Joel’s ‘Lullaby’, and a Spice Girls medley. Our ‘in-house’ quartet ‘Free Range’ also did a fantastic job with four songs in each half. Mixed voiced a cappella group Planet 24 enjoyed the experience though with a touch of sadness as it was the last gig for their amazing beat boxer Henry; this master of timing will be greatly missed. 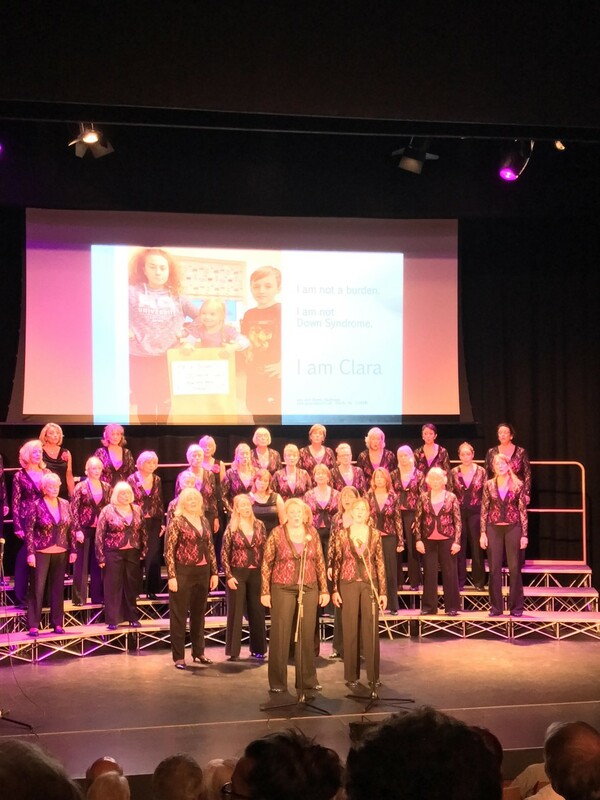 Fascinating Rhythm closed the first half with the very emotive song ‘Fix You’ and an inspiration DVD about the work of the charity playing images on the screen behind – not a dry in the house, including some on stage! All groups combined to close the show with ‘Happy Together’ with the six gentlemen taking part getting nice and cosy right in the middle of 50 women – brave lads. Our truly professional MC John Shipley, who is a Trustee for Ups & Downs, was supported effortlessly by new FR member Erica Smith as Stage Manager – her first time in the job (with all of two weeks notice). 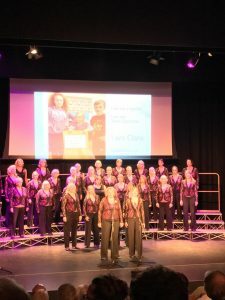 Some comments from the audience: “so professional, a real pleasure to see”; “really impressed by the focus of Fascinating Rhythm on the MD and just how animated they all were – they looked like they were really enjoying every minute of it”.